Starting business is not easy. You have to have focus, dedication, and tenacity in order to make it in today’s market. 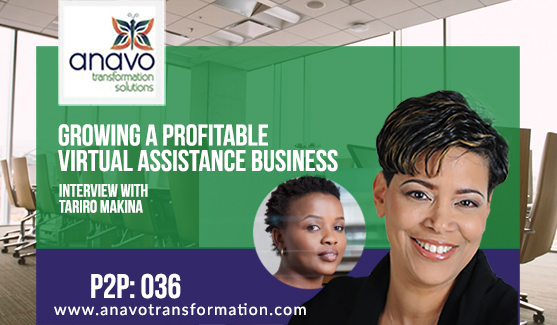 Our guest today has passed that test and has built a successful virtual assistance business. Tariro Makina is the founder and Lead Virtual Assistant with Twenty47 Virtual Assistant. Tariro and her team provide virtual support to businesses across the globe. They offer services around administrative task handling, research, online technical support and small business management. Before starting as a Virtual Assistant, she previously held a couple of IT support and management roles in the financial services and internet industries; however, she has always been passionate about working with small businesses since she was young and she finds herself trying to figure out ways of efficiently executing operations within them. It felt like a no-brainer for her to launch a business that was targeted at helping small business owners who needed support. Apart from helping clients with sticky business issues, Tariro says she also finds joy in brainstorming ideas, sharing tips to help do business better, and rescuing business owners from various tech related issues. What types of services do you offer to your clients? What kind of companies have you worked with? How does technology benefit your business? What is your big goal for this year? How having an IT background has helped Tariro support her clients. What made Tariro decide to hire people to help her support and grow her business. How Tariro determines who she should and should not hire. Why Tariro started a Virtual Assitance business. The benefits she sees in working virtually.